I spent a week at Kangaroo Island perched on a platform, taking notes and photographs when the koalas were awake. They sleep for about 19 hours a day so I had to be very patient waiting for them to wake up so I could write about their behaviour. They are surprisingly active at times. They run up and down branches, and swing through the trees. I was amazed when I saw a koala jumping from tree to tree. It’s wonderful to be close to a mother with her tiny baby clinging onto her back. Children often ask me, “What is your favourite photograph?” I always reply, “The koala jumping,” because I’ve never seen anyone else capture that action. 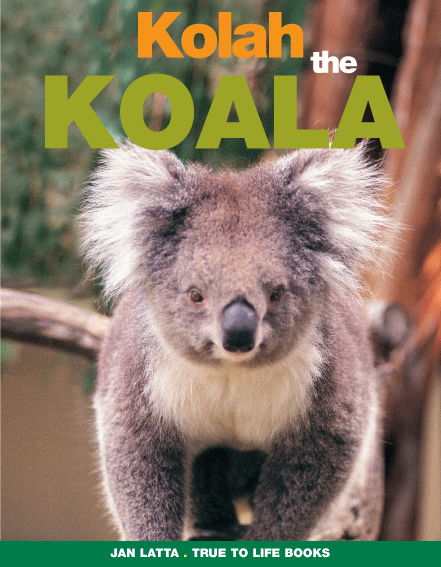 It is so important to be with koalas when I write about them because I need to describe the sounds. And koalas are often very, very noisy. The concept for the book is the koala talking to children about its life in the wild and how it can survive. There are maps, interesting facts and fun activities. See this video of koalas in the wild.